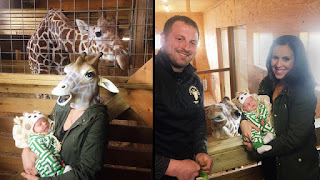 Photography and Art by Jennifer Nolan - dsgnGrl: April the Giraffe! My brush with internet fame! 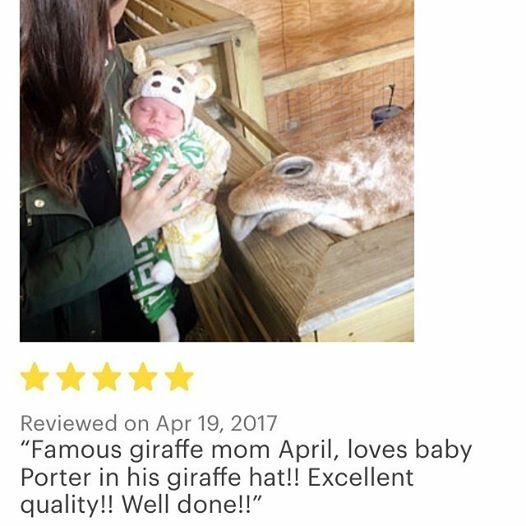 A friend of the giraffe lady from a viral video ordered a giraffe hat from my Etsy shop, and I was happy to whip one up and send it for baby Porter. And last week they got to meet April the Giraffe! So happy I could make their moment extra special.